Open from 12 noon Mon-Sat; closed Sun. 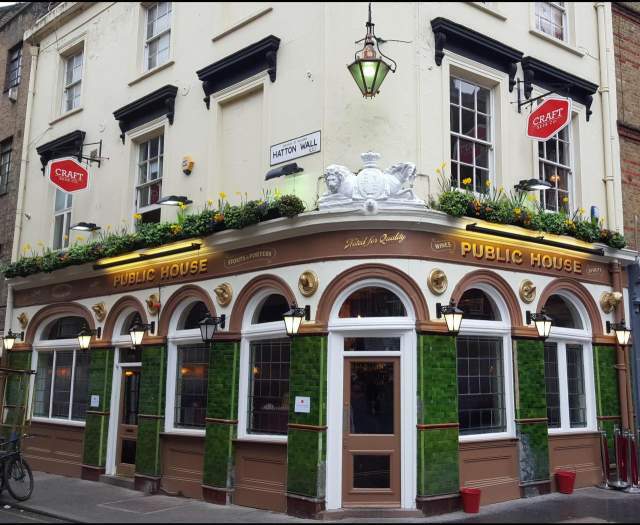 An outstanding proper pub in a central location, just off Clerkenwell Road at the top of Leather Lane. An often amazing range of beers from around the world. Good - if sometimes pricy - bottled list as well. A great selection. A beer tour in one sitting.